All Saints' Church Northampton - Χριστός ἀνέστη! Over Holy Week and into Easter Day over 1300 people attended our services, with over 500 'Communion'; this was slight dip on last year’s 1461, perhaps a reflection on the staggeringly cold weather! 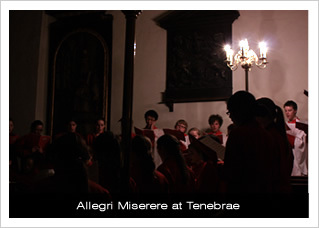 The Choirs led twelve of the seventeen services that were held during the week, despite this being one of their school vacation weeks. by us. 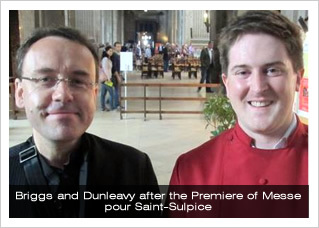 The Mass was sung to the setting by David Briggs, Messe pour Saint-Sulpice, commissioned for our choirs last year (they gave the first performance in that great Parisian church), and the Passion according to Saint Matthew was sung to the setting by David Bednall commissioned for our choirs in 2009. The drama was intensified with the setting of Hosanna to the Son of David by Gerald Near, one of the works we have recently introduced into repertoire from North American composers. 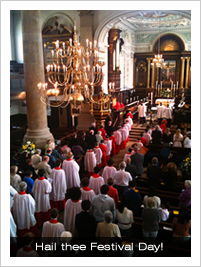 At Evensong the Boys and Men sang Hosanna to the Son of David by Weelkes, alongside his rarely-heard First Service. For the rest of the week the choir went somewhat 'off piste' with repertoire following the shocking news that one of our Assistant Organists, Roger Palmer, had been involved in a car accident and subsequently went on to have a heart attack requiring immediate cardiac surgery at Oxford. Roger is now recovering well at home, and we are looking forward to welcoming him back sometime in the late Summer. On Maundy Thursday the day was marked in a feast of Russian music. At 1:10pm the Director of Music gave his monthly recital in the 'Around the World' series, this time focusing on Russia with music by Mussorgsky, Mushel, Prokofiev, Shostakovich and Stravinsky. At the evening Mass of the Lord’s Supper the setting of the Gloria was from Stravinsky's Mass, accompanied by a remarkable array of colours from the organ, and the ringing of bells and cymbelstern, and the remainder of the Mass was from a lesser-known setting by Arthur Hutchings, which derives from the intense, traditional and unaccompanied chants of the Russian Orthodox Church. On Good Friday we welcomed the Bishop of Brixworth, the Right Reverend John Holbrook to lead the Three Hours of Worship – the two Hours’ devotion and the Good Friday Liturgy. The Liturgy included a fine performance of Aidan Liddle’s setting of Ecce lignum Crucis, and we were delighted that the composer was present for the performance. Flower-arrangers who did such a wonderful job with the Altar of Repose on Thursday and the Easter displays which appeared for our Vigil.